This is one of my favorite colors of sweaters. This fun sweater with a cute tie sleeve in a pretty purple is only $35. 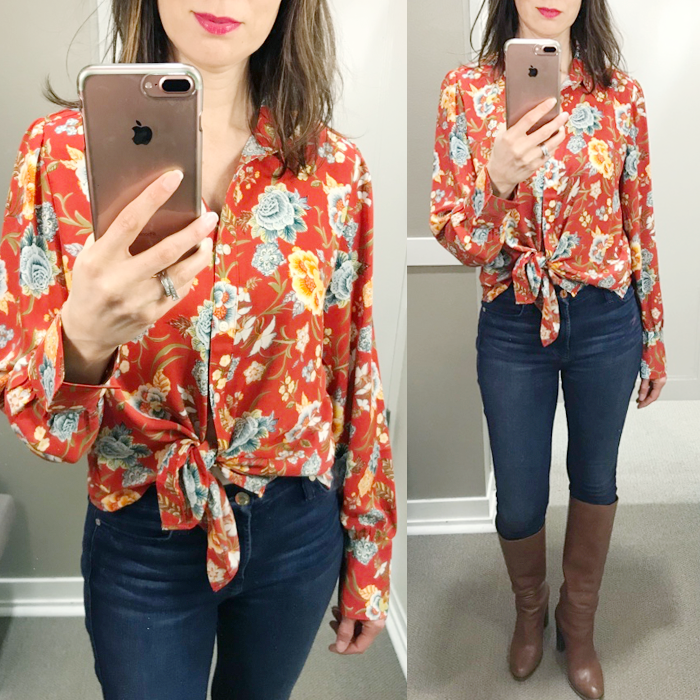 This $25 blouse makes me think of spring and vacation - and spring can come in day, please! This very popular waffle knit sweater is 40% off! I love this classic $20 pink sweater - perfect for February. This pretty in pink cozy sweater is 50% off. This cozy cardigan is 50% off and comes in three great colors. This $25 sweater is on trend as the color of the year. 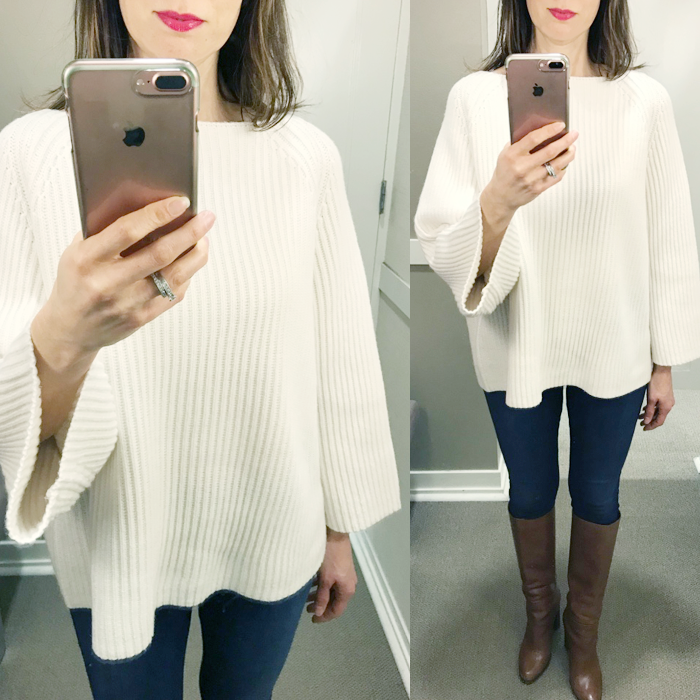 This is a fun rolled neck sweater - in two great colors. These two-in-one suede loafers/slides are back in some great colors for spring. LOFT is having a HUGE 50% off sale - everything in the store! I went and tried on many, many new arrivals - and here are just a few. I love these floral prints. 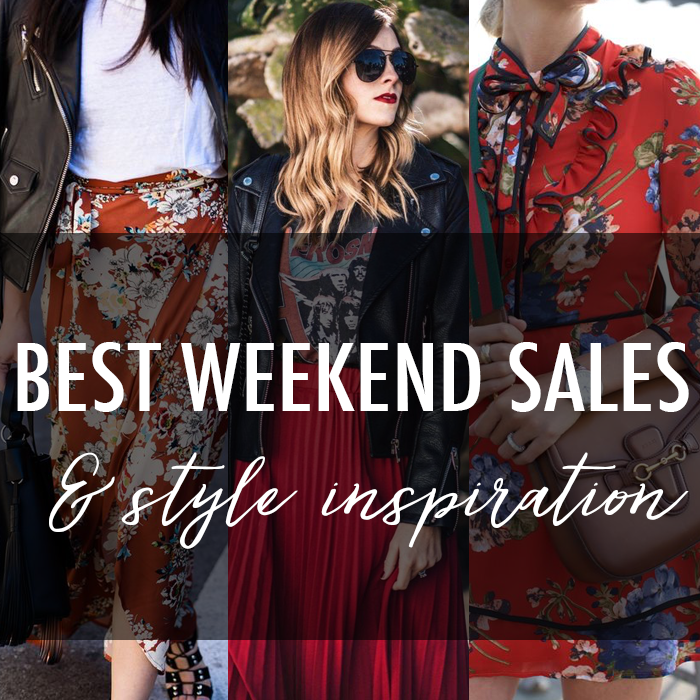 That red floral blouse - you might not like it online or on the hanger - but on and knotted - makes it a really cute blouse, I think. I will be back tomorrow with more from my try on session - be sure to check back! And, if you like my lipstick color it is Dangerously Red by MAC. I got it in the mini lipstick set - that right now is 25% off. 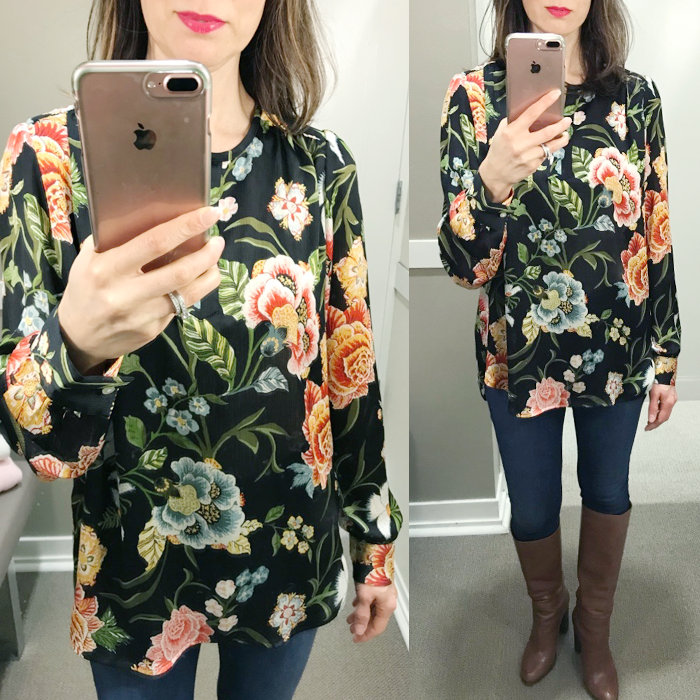 I really like this blouse - and floral is not something I tend to buy. If I did buy it though, I would probably wear it tucked in with a belt. I love that white ribbed sweater! So chic and would be a great spring look too! This is the best time of year for sales....they are great prices, and I can still wear them for many months!! Ooh, loving that last blouse, the red floral. It's bright without being BRIGHT! Looks so good with the blue wash denim you're wearing it with and I bet it would look great over white denim, too!